Facial mask at home seaweed kelp indications for use to buy a store of traditional medicine. Available in stock. Good price. Fast shipping. Faded skin - acquire a second youth. However - not all so rosy as it seems. Face mask with laminaria can be harmful in some situations. These situations need to know everyone who wants to use kelp for the preparation of masks at home. Make masks from kelp is undesirable during pregnancy and lactation. You can not do laminar facials very often. One mask effect lasts for a week, so the maximum number of masks that recommended for the face - one a week. In algae a lot of vitamin C, iodine, so the skin can get an overdose. Among other side effects - increased pigmentation and even allergic reactions - burn spots. Vitamin C may worsen the condition of skin in the presence of her (at the time of application of the mask) extensive foci of inflammation, open and festering wounds, tumors, unhealed injuries recently sutures. Found idiosyncrasy kelp, which is better to check in advance to avoid unpleasant side effects and complications. You must be careful those who suffer from some diseases of the circulatory system. Rosacea - a direct contraindication to the use of kelp. Thyroid disease in which iodine is contraindicated do not allow the use of kelp as a cosmetic. In any case, it is necessary to consult on this matter in any dermatologist or cosmetologist. For greater certainty, you can first go to a beauty salon to the first time this mask made professional. So you can be sure that you do this remedy is not contraindicated. Also, you will be able to appreciate all the pros and cons of this anti-aging treatments. After that, you can already can safely apply the mask at home and become a personal beautician for your own skin. The effectiveness of face masks with laminaria. Application of laminaria for the face as the basis of masks with different actions will get rid of age spots and acne, skin aging (fine lines and wrinkles, loss of elasticity, tone and elasticity). Kelp is universal and therefore equally useful for oily and problematic, and for normal to dry skin. The systematic use of it normalizes the secretion of sebaceous glands, effectively eliminating shine, moisturizes and smooths the skin, has a strong soothing, drying effect on acne, improves the complexion. 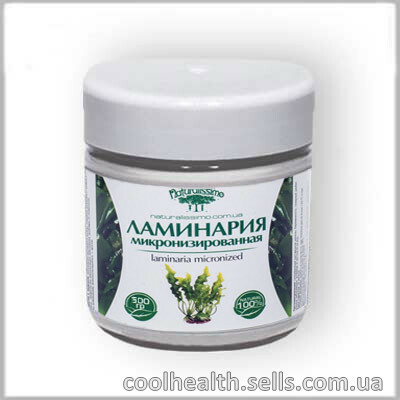 Laminaria and effectively cope with the swelling of the face and bags under his eyes, prevents the formation of double chin and so-called "flews". The period of childbearing and breastfeeding.